Few days back Orkut introduced its new version with new features and faster browsing. Orkut’s new version is still available for selected users only. If someone in your friend list has got access to the new orkut then you can ask him/her to invite you for the new design or you can participate in the contest here. Recently I have got an invitation from my friend Rajesh Kanuri. I have managed to get some invitations to the new orkut and I am giving away these invitations to TricksDaddy readers. Some Orkut users are getting an error when they try to send friend requests. This error message says Adding friends Service is temporarily Disabled. This problem can occur when you try to send too many friend requests in a short duration of time. Once you are blocked, you will have to wait for about one week before you can send new friend requests. 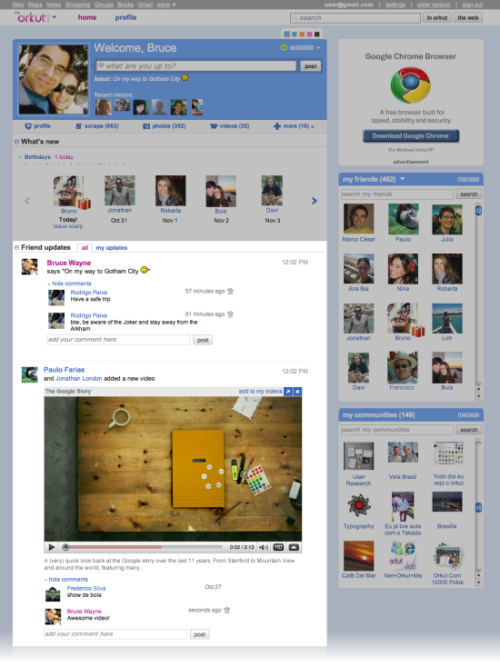 Orkut has just released a new theme for New Year 2009. I just noticed it now when I logged into my Orkut account. I was looking for a theme for new year from the time when they released a nice theme on the occasion of Christmas.